I’ve always believed in KARMA, whatever you do comes back to you, e.g. if you do something good, something good will happen to you, and vice versa. 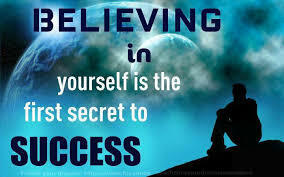 So Success, what is MY definition, well I believe , accomplishment of an aim or purpose. Did I succeed at Success, well you decide. When I was a child, I thought there was MORE. That life held so many option for me it was just a matter of getting to them. As I got older, LIFE got to me first. I dropped out of High School and was married at 18, and a baby on the way by 21. Still through all this in my head were the Dreams of Making a Difference. By that I just wanted to make my MARK do something special, help someone,Find something no one else has yet to discover. I collected travel books from the Travel company down the road, thought maybe I could Travel to Egypt, take some unbelievable photos and through them ,make someone smile at the photo and encourage them to find their adventure. The need for wanting to help and touch a life and encourage was a need I had, but I was not very educated, a housewife and mother. When I reached my 30’s (36 to be exact) I had a second child. I decided It was time I try to find something to fulfill the urge to make a difference. I went back to school received my GED and Started College, my career was to be a EMT/Paramedic. This was my chance to make a mark and to ease the feeling of a life without purpose. I completed School, but before I could take my final Testing I was having to go through a very difficult life change, Divorce. I decided the best thing for myself and my children was to get a Job and work towards my state testing while I get life straight again. Not hard to guess what happened, I never made it to my Testing. Finding time to raise my two kids, study, work and do Clinical s was impossible. I’m hoping that through this Website (blog) I will be able to help someone, good people, to find good Health and a Better life. If not for several maybe just one. If you’ve stopped by to read or take a look, I thank you. Take Care! OH YES! 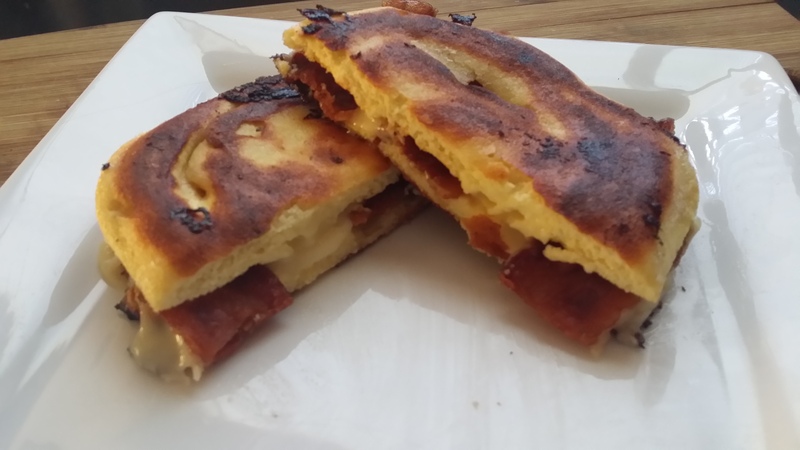 This is a Wonderful quick, easy recipe and so tasty. 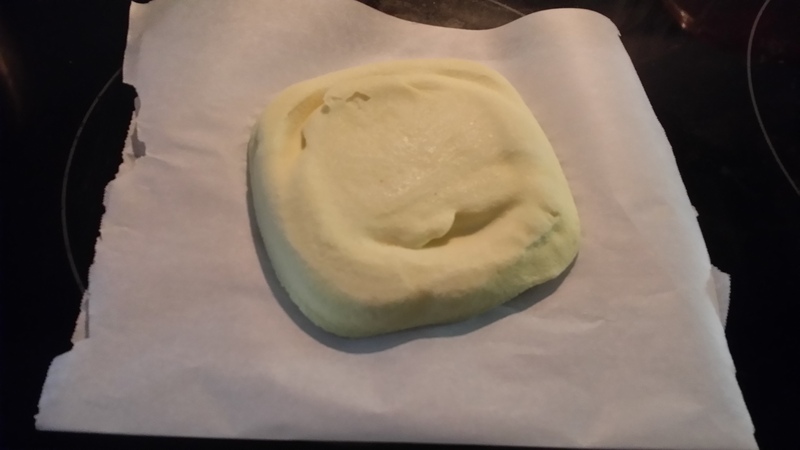 With this Simple Bread, Bun recipe you can use for the Grilled Cheese or Hamburger or Even a Toasted Reuben YUMMM! Here we go Hope you guys enjoy! 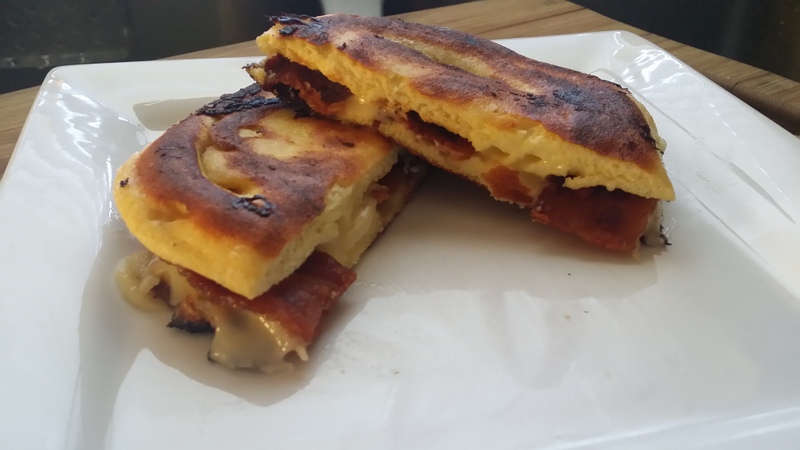 Cheese, Bacon or anything you want to Grill. 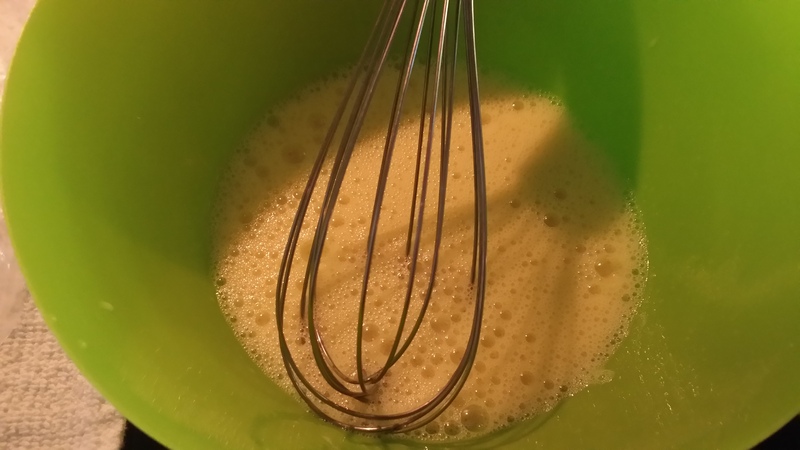 In a small mixing bowl add Eggs and Water then Whisk well. 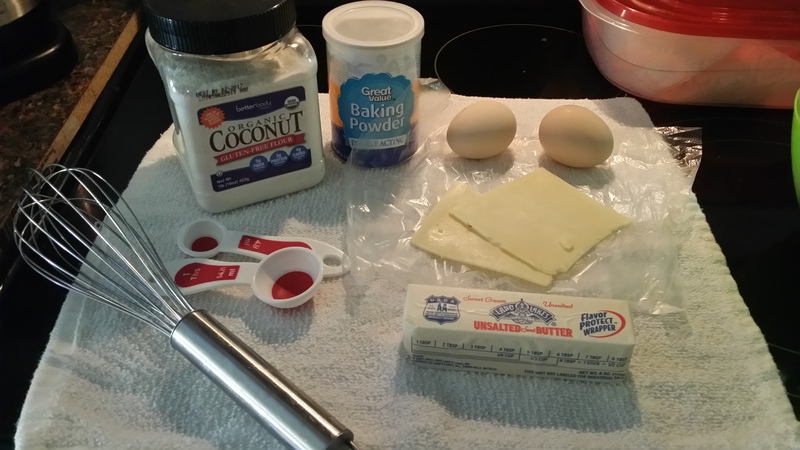 When you mix the Eggs add other ingredients (Coconut powder and Baking Powder). 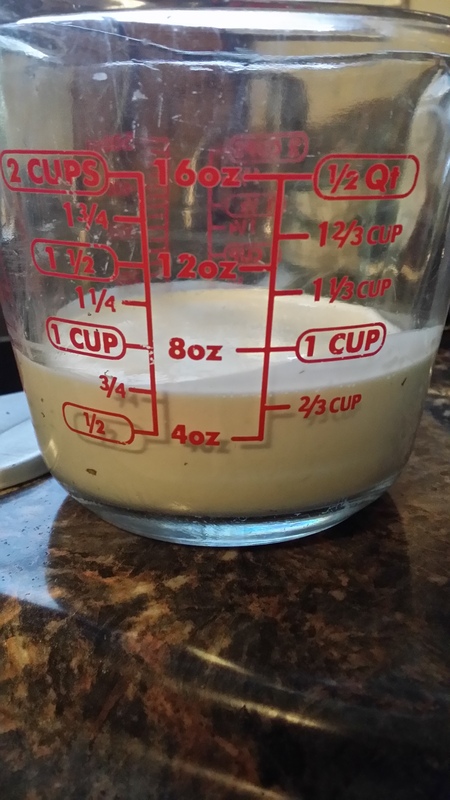 When Ingredients are mixed well with Whisk pour into your Microwave container. 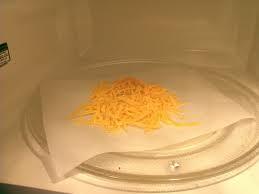 Place into Microwave for approximately 2 minutes. 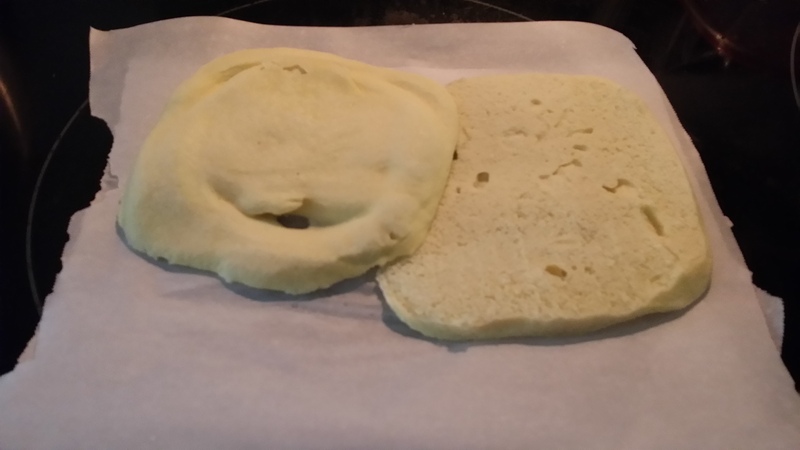 Next place cooling paper or board down and flip container upside down and flip hot bread onto paper or board to COOL. (should come out really easy). LET COOL until you can place hand ontop ! 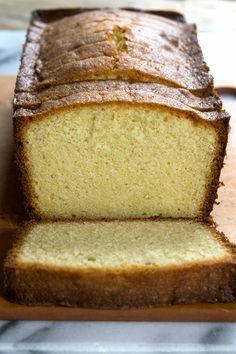 Then Slice in half. 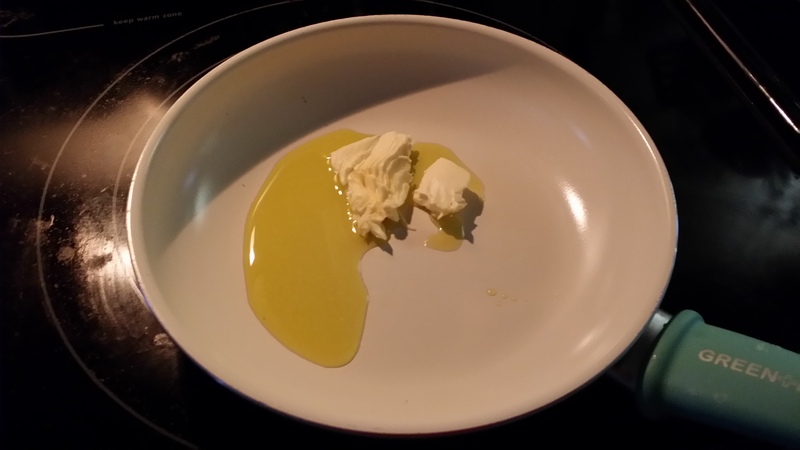 Next ADD Butter to pan on Med high and melt slightly DO NOT BURN BUTTER before adding Bread. 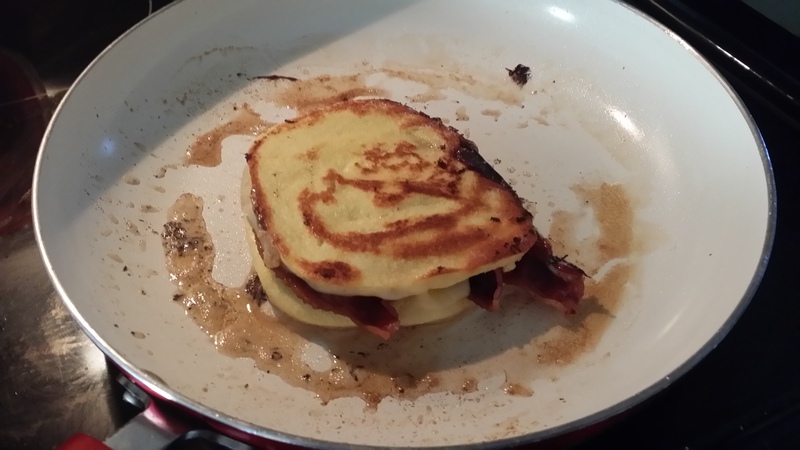 Add Bread, Cheese and Bacon. Hope you guys enjoy, Take care and have a GREAT Day. 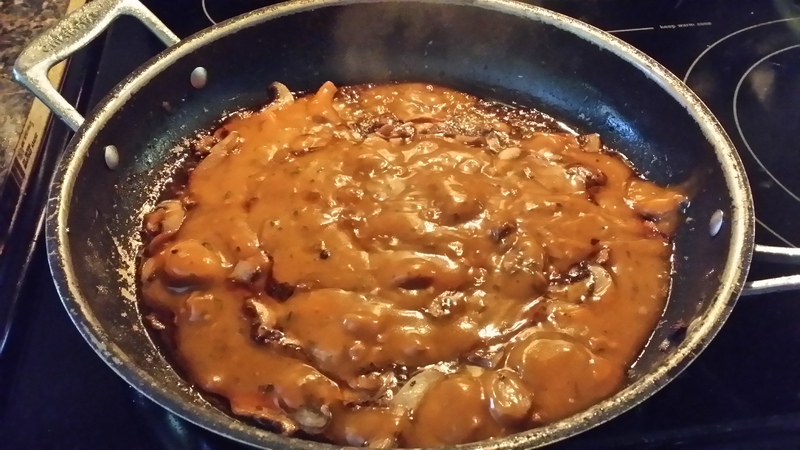 One of the comfort foods I love to get when I’m at Olive Garden is Chicken Marsala. 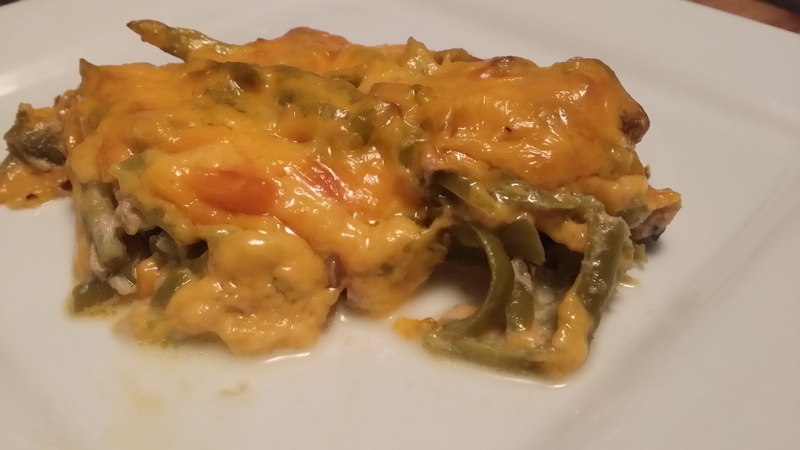 I decided to find a Low Carb way to enjoy one of my Favorites MY WAY low carb. 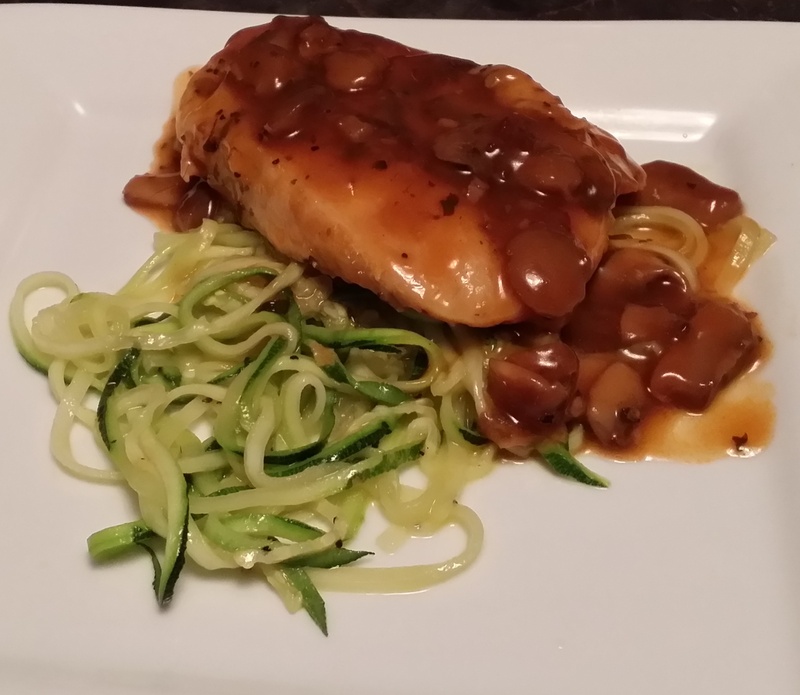 This is a Simple Easy way to lean to re-love Chicken Marsala without all the Carbs the restaurants love to put in our food. 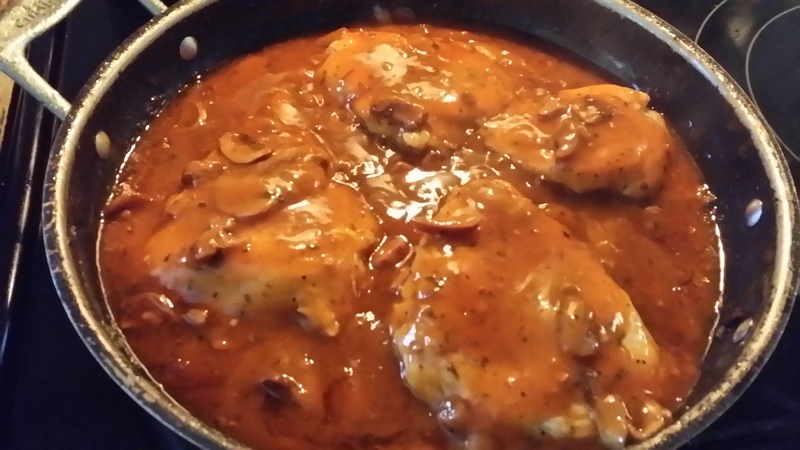 If you love Chicken Marsala like I do, you’ll see this Easy fix is well worth a try. 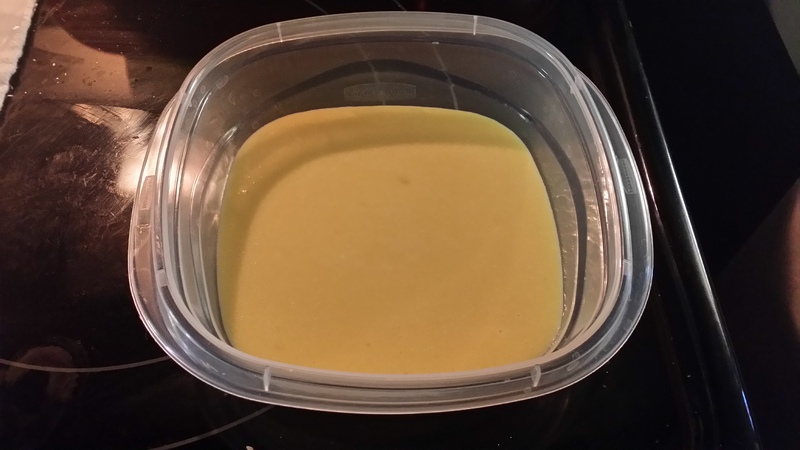 1/2 Tablespoon Garlic Powder (fresh Garlic 2 Cloves crushed well). 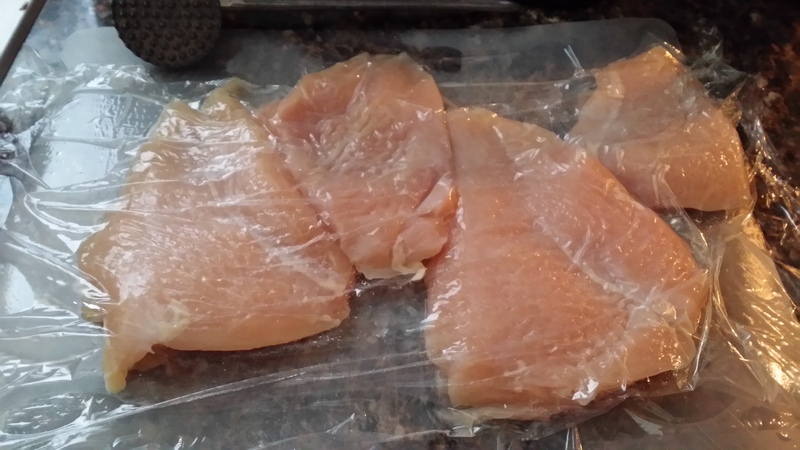 First lets go ahead and get our chicken ready cover with plastic wrap and pound lightly. 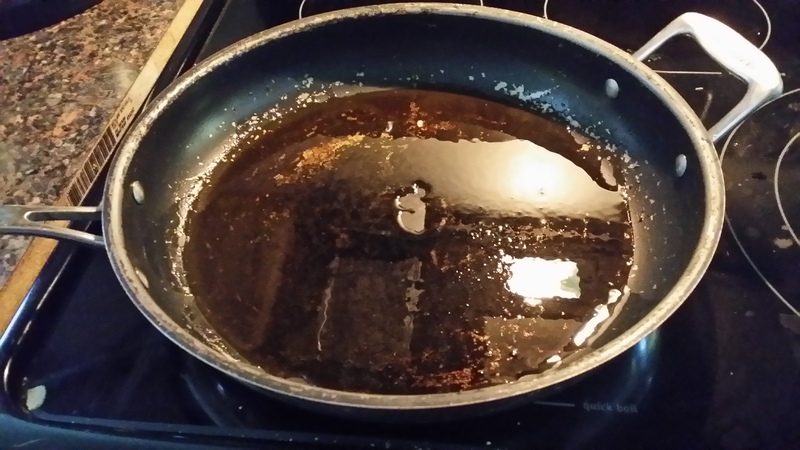 Then place your large pan on a Medium high burner and add Crisco and heat. 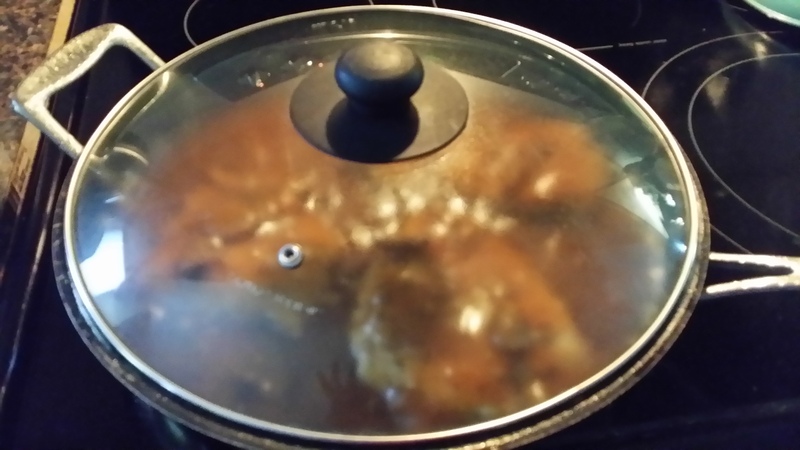 Salt and Pepper Chicken and Add to HEATED oil. Brown both sides. 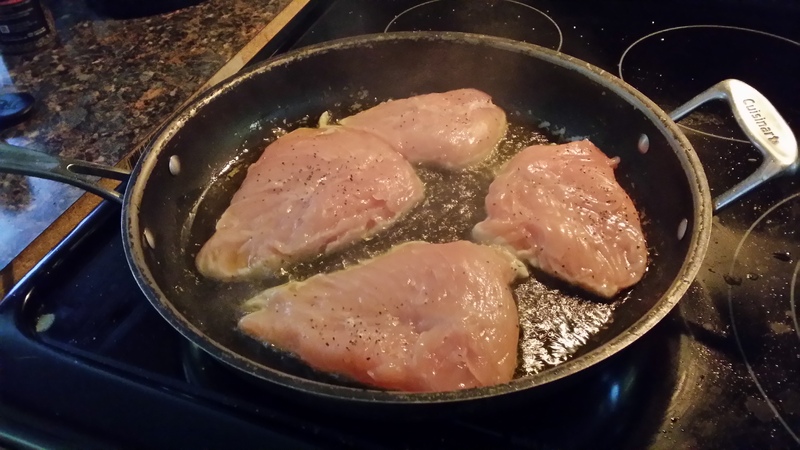 Turn over chicken pieces, and Brown slightly on both sides about 4 minutes each side. 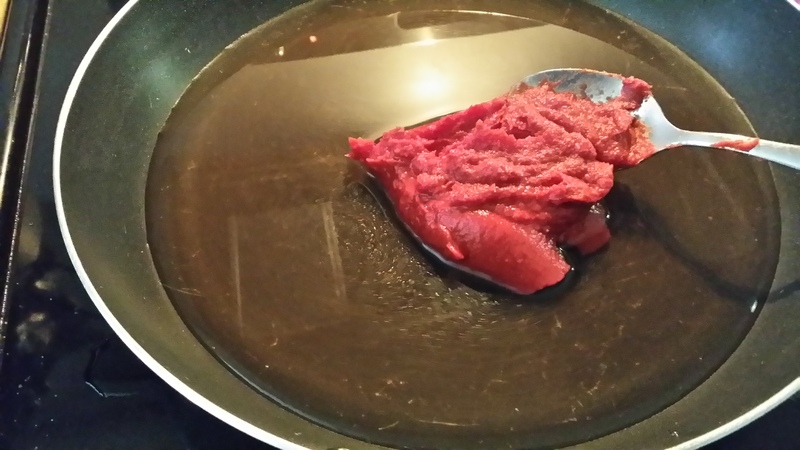 Then Remove from the pan set aside for a min. 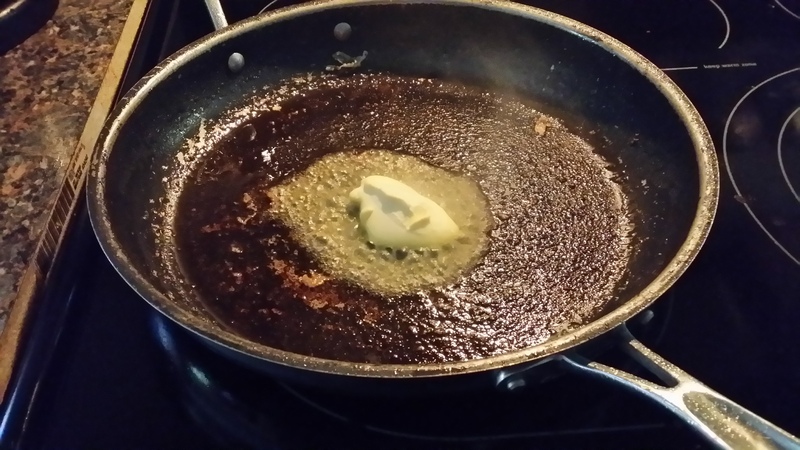 Add Butter to Pan and use to deglaze your Pan. 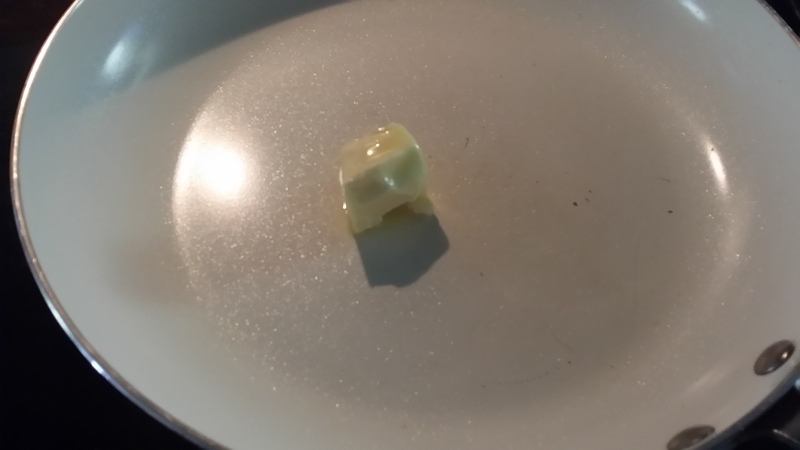 Once Butter is melted and still on Med. 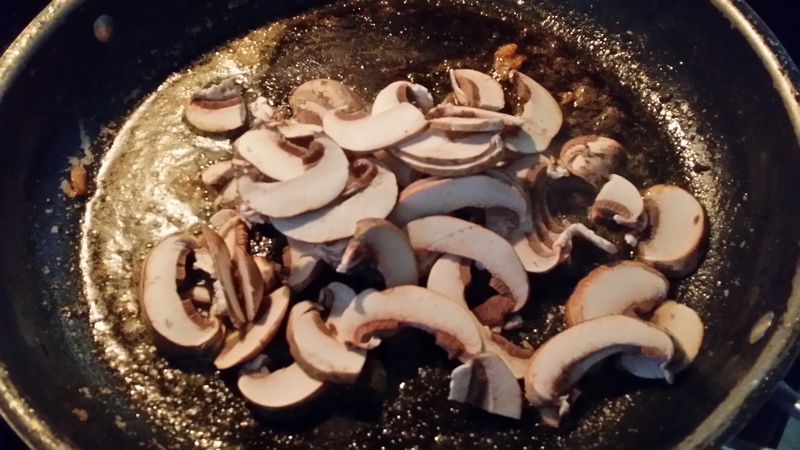 High Add your Sliced Mushrooms.Incorporate and stir into Butter. 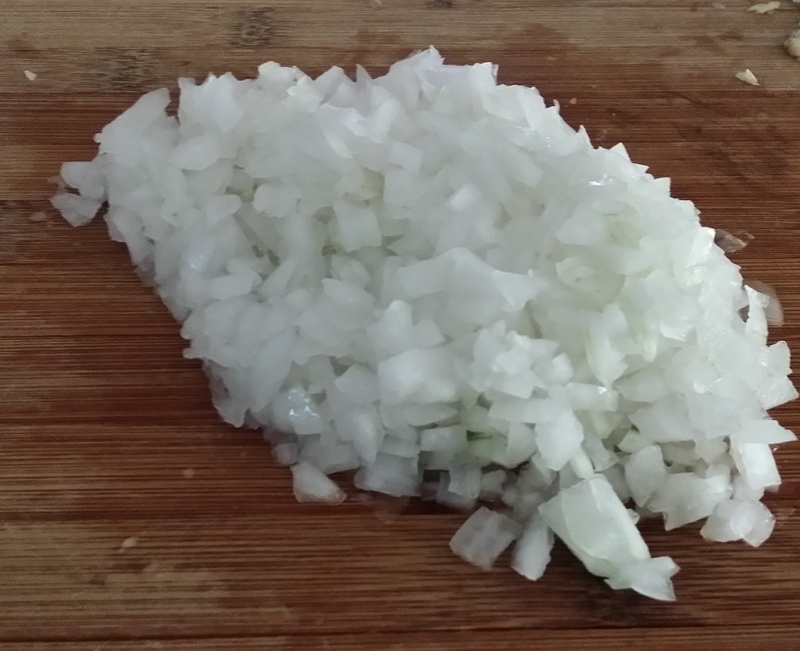 OK…here is my shortcut, now I preach about Man Made foods and making everything from scratch all the time, but, every now and then we find a decent substitute. Living were I do getting to a Liquor store is 45 min. away. 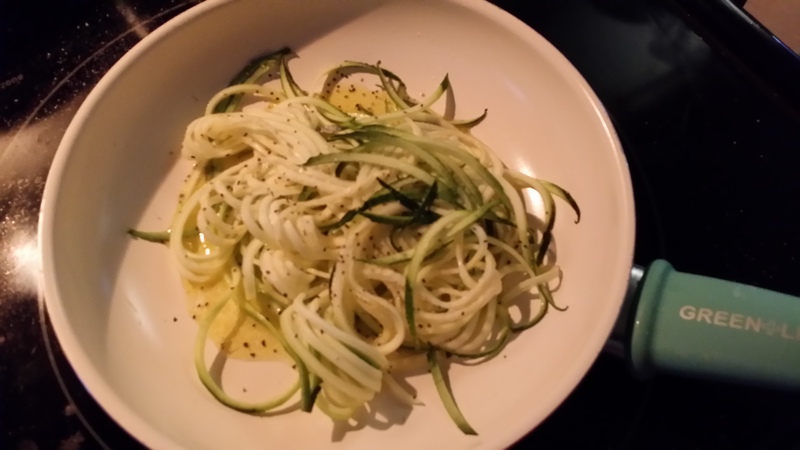 So I found a Low Carb alternative thats not to bad at all. 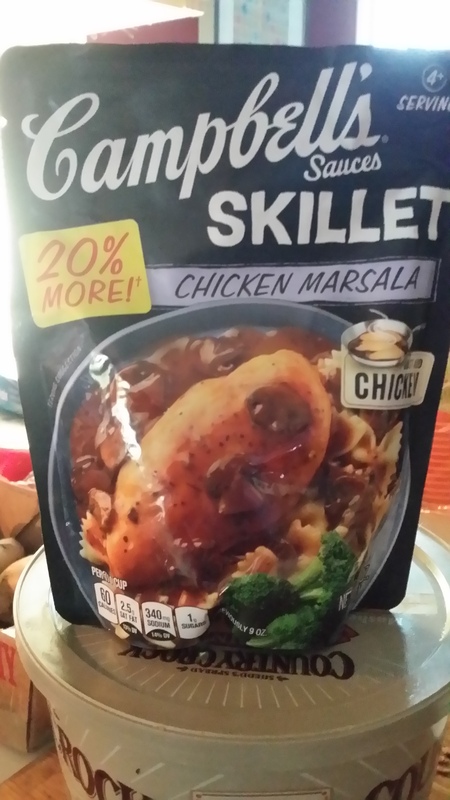 I found this product at Walmart, its inexpensive and the taste is almost spot on. 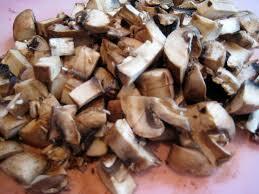 But do add the extra mushrooms as shown above. 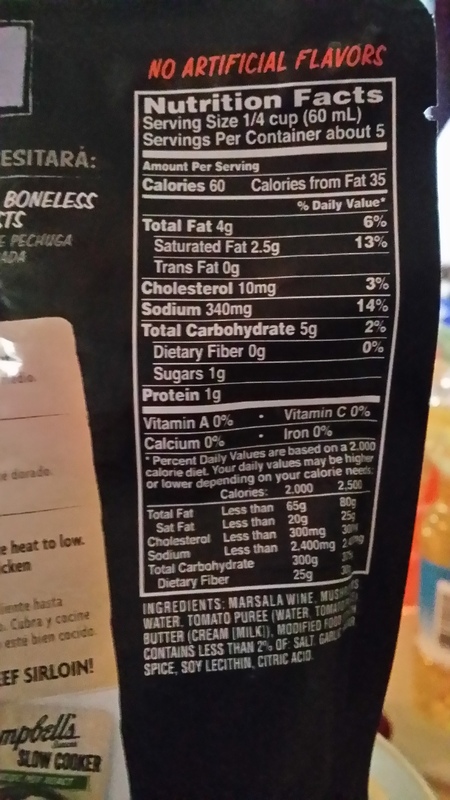 You can see No Artificial Flavors, Sugar is Low, Carbs are Low. 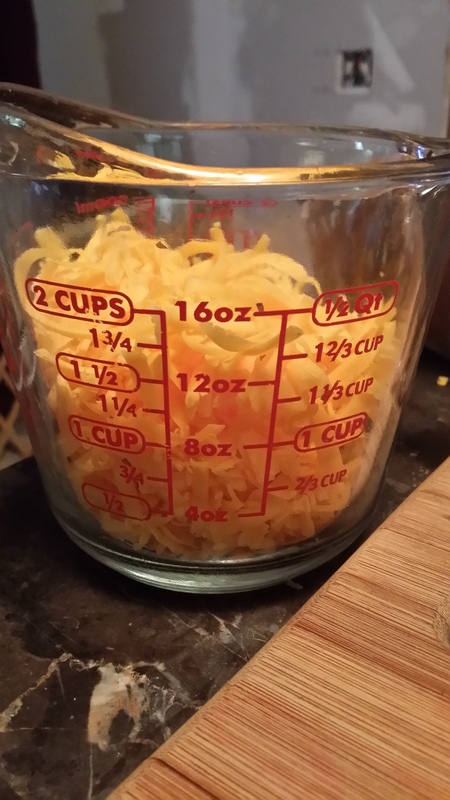 Serving size is 1/4 Cup. Okee Dokee, that said lets move on. 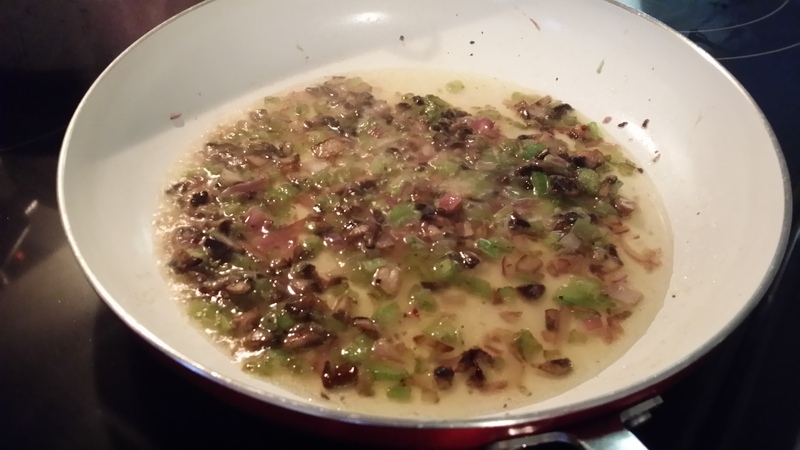 Next after mushrooms are slightly Saute, lets add our Short Cut Sauce. Then add Chicken. Lets get our Noodles ready while that is Simmering. 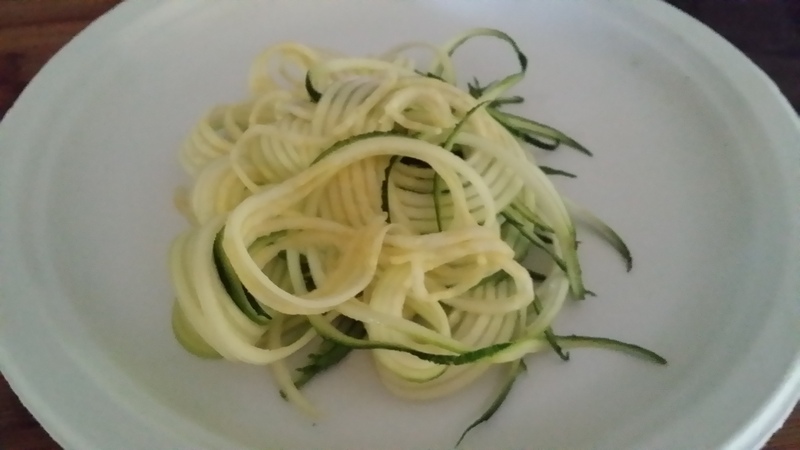 I have a cool little device I got at the store, I think its called a Vagetti or Zoodle. 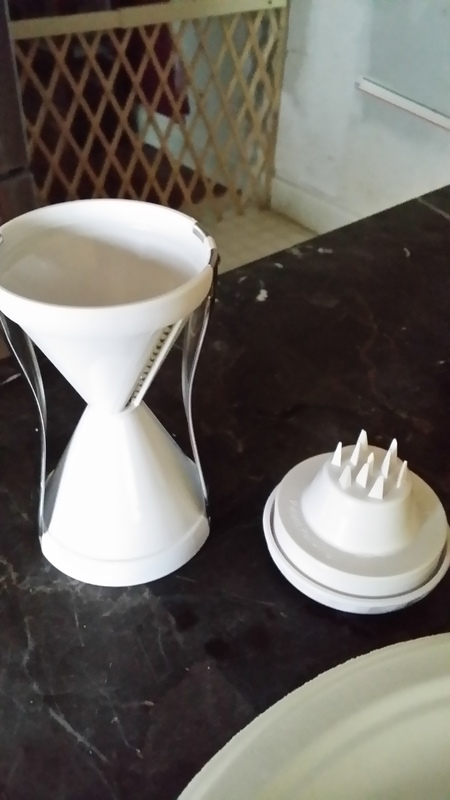 If you don’t have one of these GET ONE, but in the meantime you can slice your Zucchini very then. 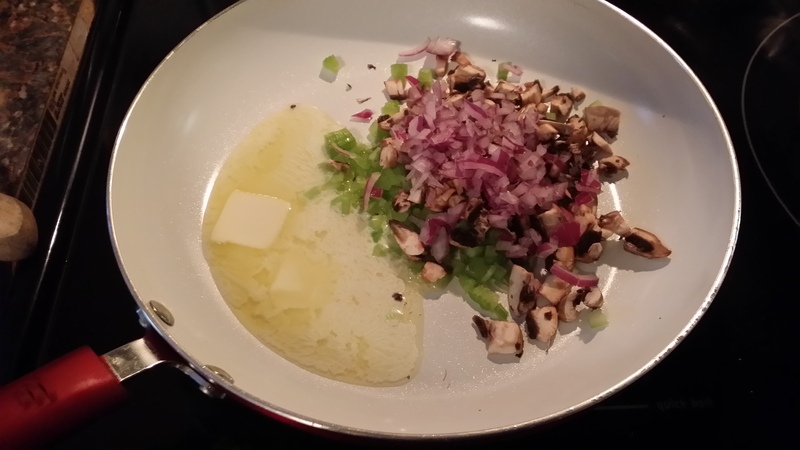 In a Small Sauce Pan add 1 Tablespoon of Butter and 1 tablespoon of olive Oil, Garlic,Salt & Pepper. 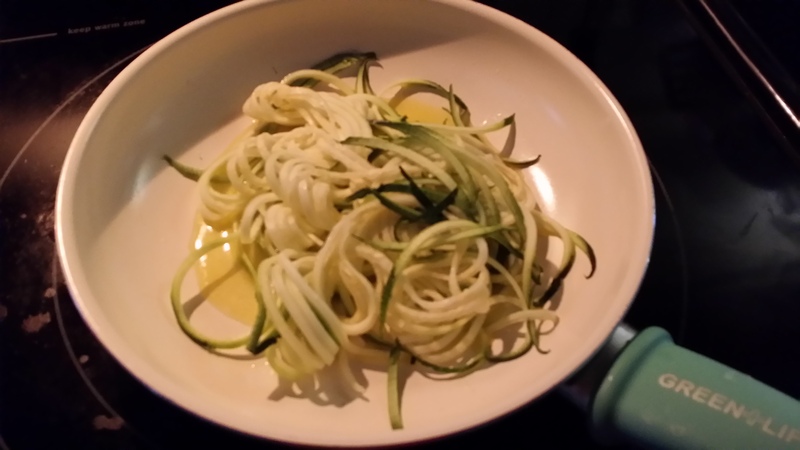 Stir and Heat until Zoodles are Heated and flavors are totally incorporated. Lets Plate and Eat, You guys enjoy the fresh Flavors and Low Carb LOVE IT!!! 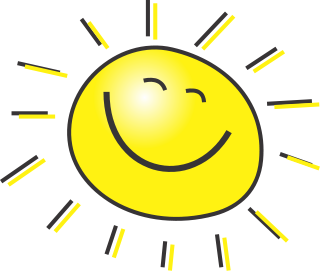 Living in the Southeast in the Summer is a Challenge, right now outside it is 95 degree heat index 105 and 82 percent humidity, in other words, if you go outside you will Melt. Not only do you break a sweat just going to your car, we have these lovely little bugs called Gnats, they Love to stick to your sweaty body and fly up your nose, really I don’t make this stuff up. What I am getting too, is the other day we had a Fabulous all day rainstorm, I decided with the Temp break I was going to take advantage and get a head start on the Fall. 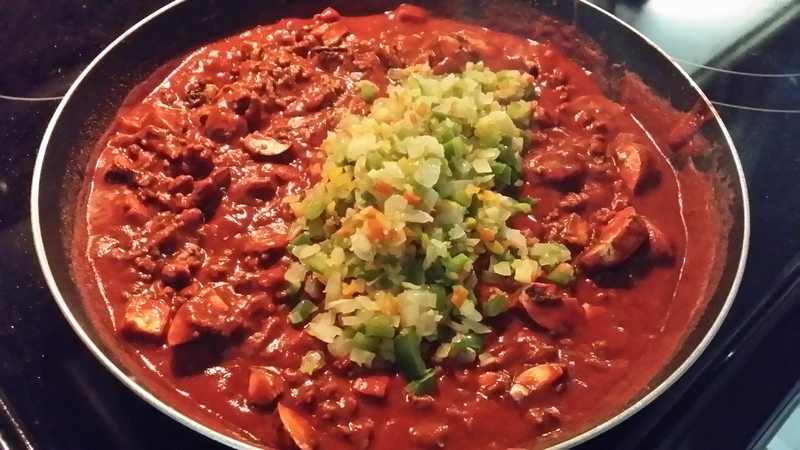 This is one of the best Chili recipes I have ran across, I actually had to tweek it for us Low Carbers, and it worked out Wonderful, my husband does not care for Chili but he actually ate 2 Bowls. 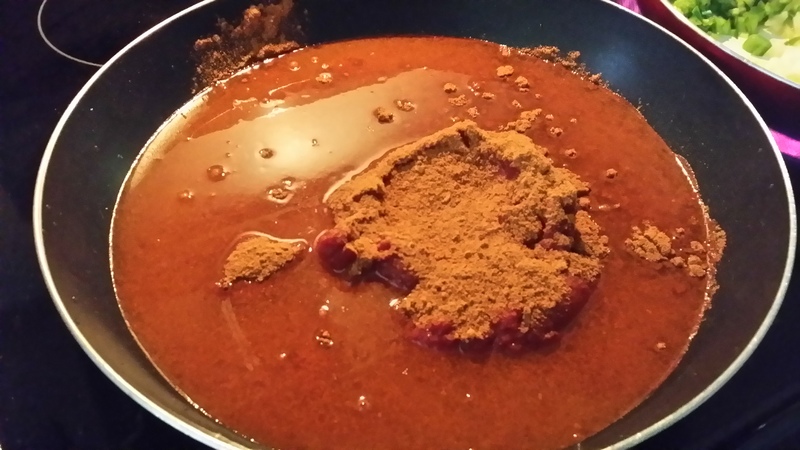 You can use prepackaged Chili spice, just pay attention to the Sugars they are usually about 5. But here is a good mix if you want to do scratch. 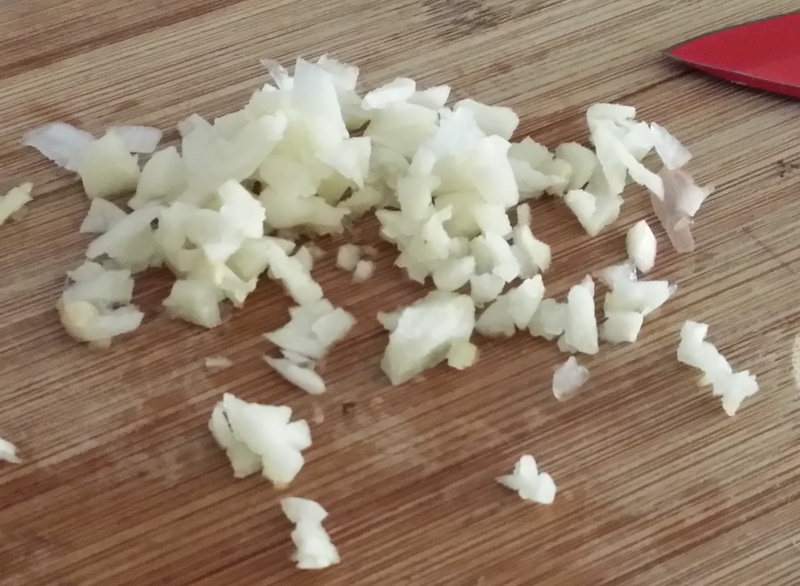 First we need to get everything Chopped. 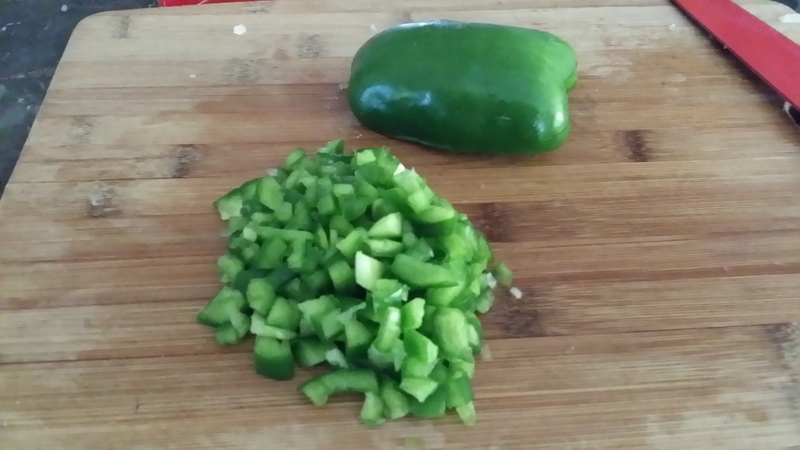 Bell Pepper. 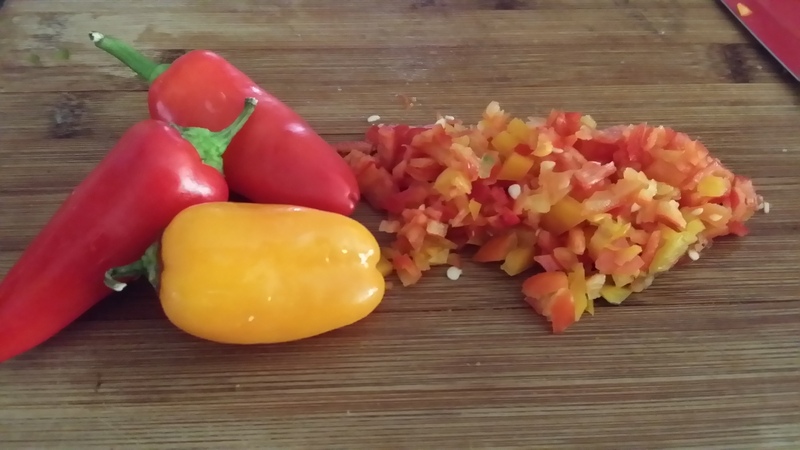 Sweet Peppers Chopped. 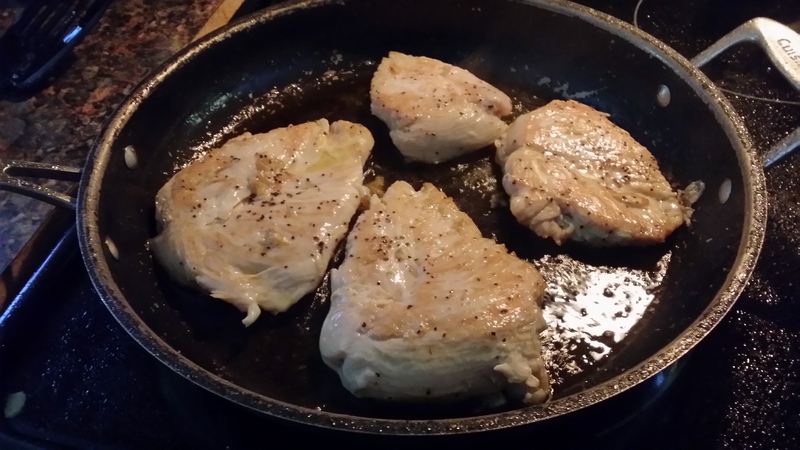 Now, Lets get our Protein started cooking, grap your pan and slap in that Protein and chop up with spatula and Salt and Pepper get cooking on a Medium high heat. 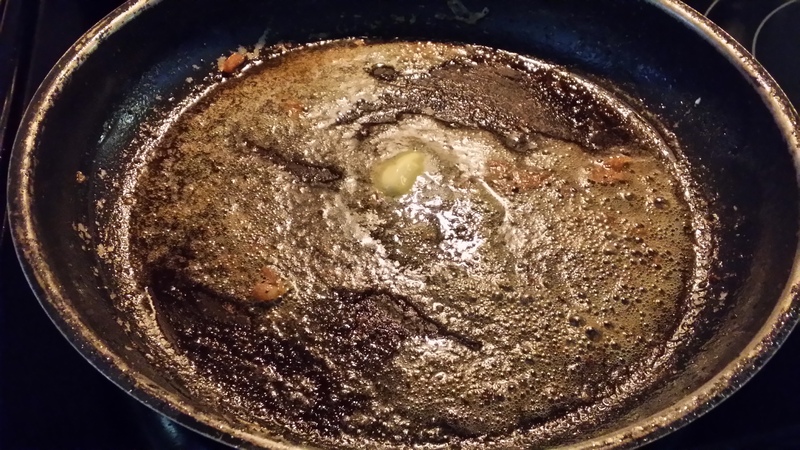 When Cooked, remove from heat drain grease. 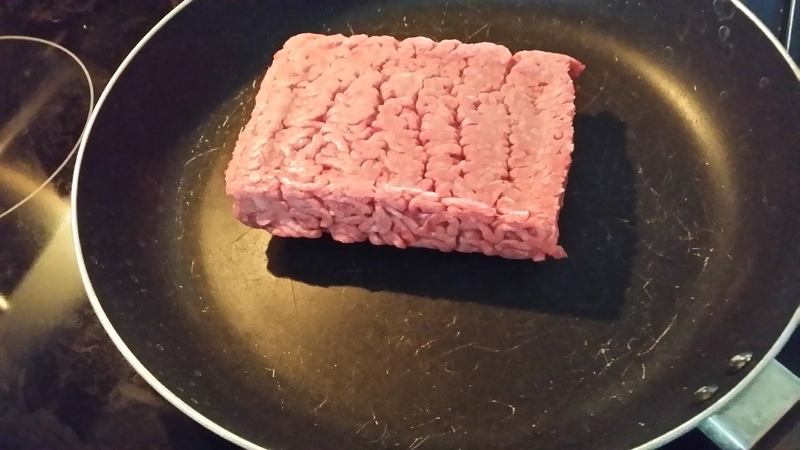 And Wipe pan gong to use this pan later. 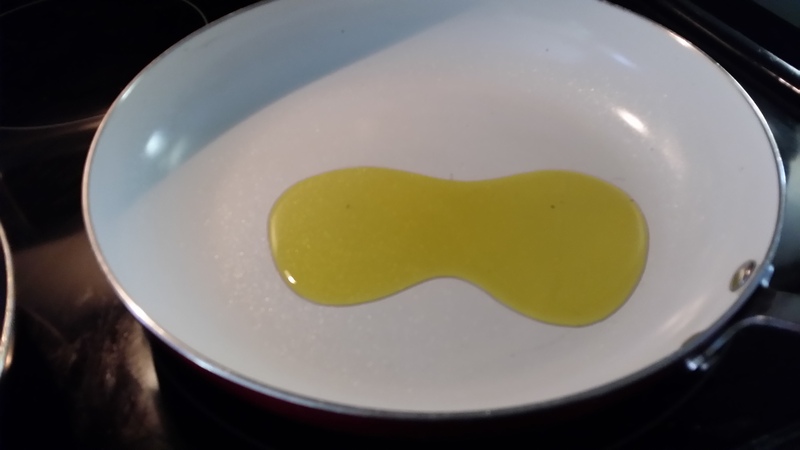 In Medium pan, add Olive Oil and Heat on Med High. 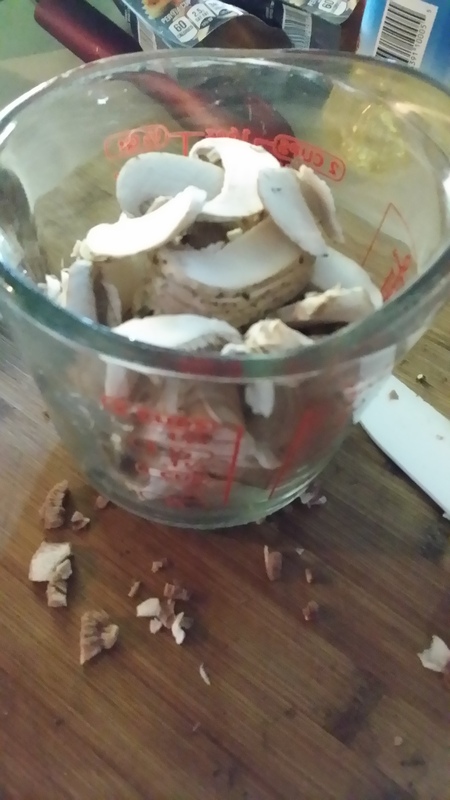 Then add all Copped ingredients except the Mushrooms we will add those in a bit. 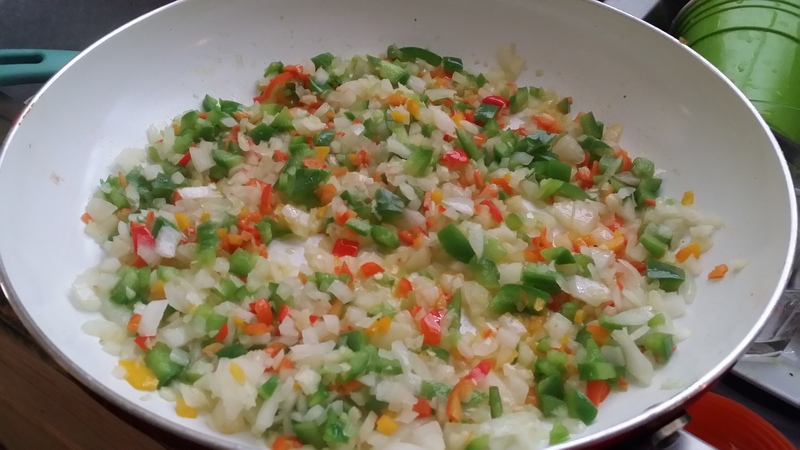 Mix and Cook Ingredients for about 10 min. Not long just until they tender alittle. 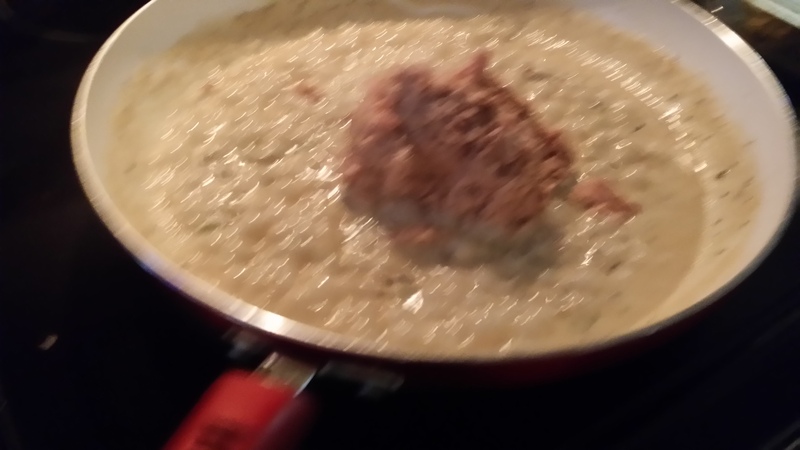 Next get the big Pan you cooked your Protein in, turn burner to Med. 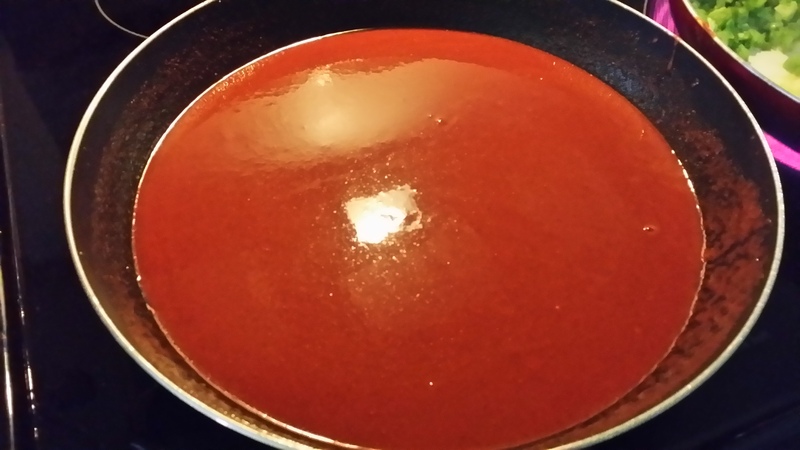 high, add your tomato Paste, then 2 Cups of water, Season mixture. Mix all very well. 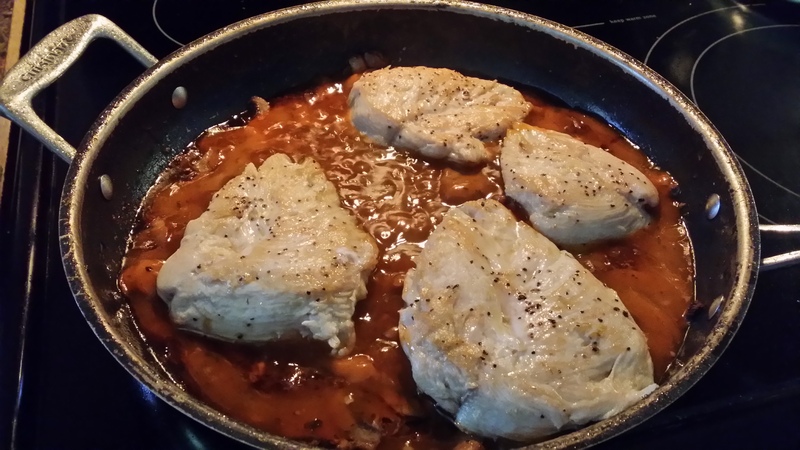 Add Protein and incorporate into Tomato sauce mix. 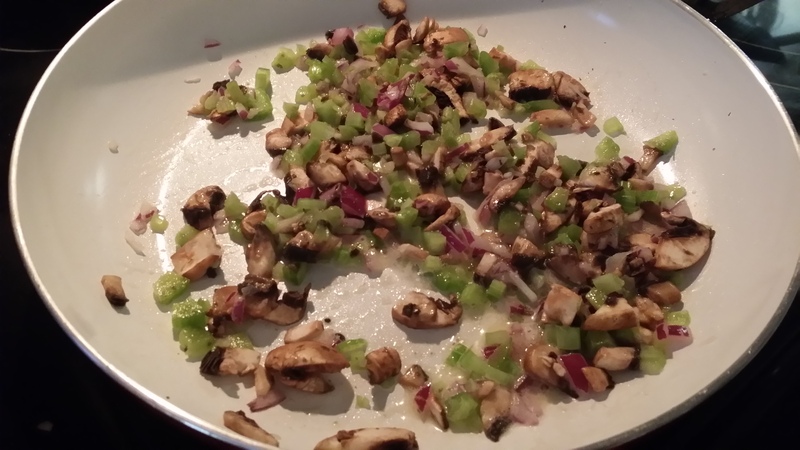 Then add Chopped Mushrooms and fold those into Sauce, add Vegi. mix next. 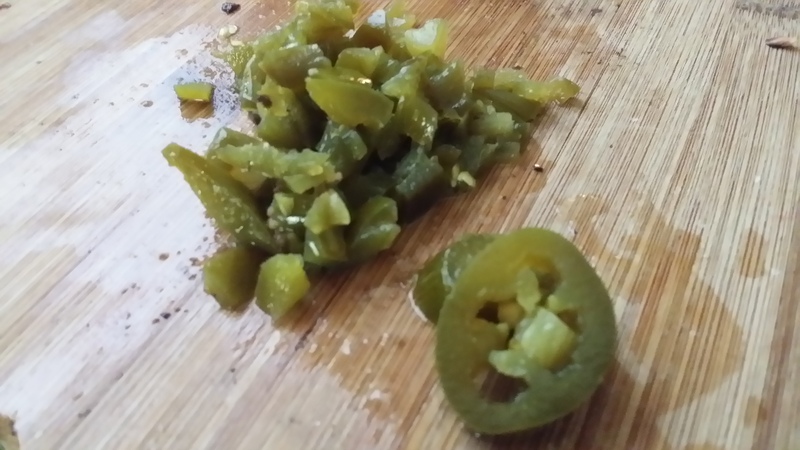 At this point you can add your Jalapenos, if you wish not to, that fine too 🙂 Salt and Pepper to taste. 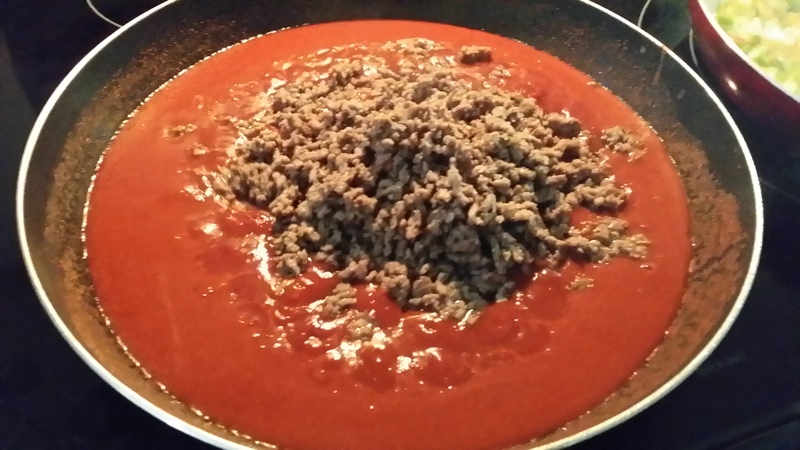 After all ingredients are added, set your burner to Simmer, you may notice how THICK your Chili is, at this point we need to add our 1/2 Cup of beef broth (or Water) so that when we set our Chili to Simmer it will not burn. 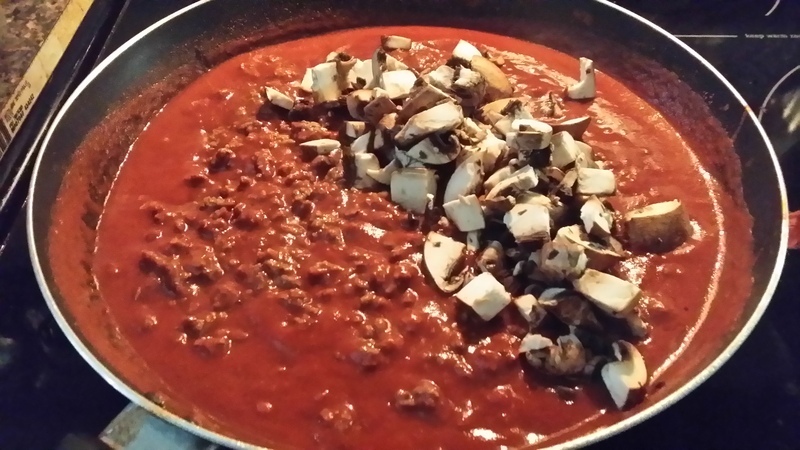 So add the extra liquid, mix into Chili well and Cover. 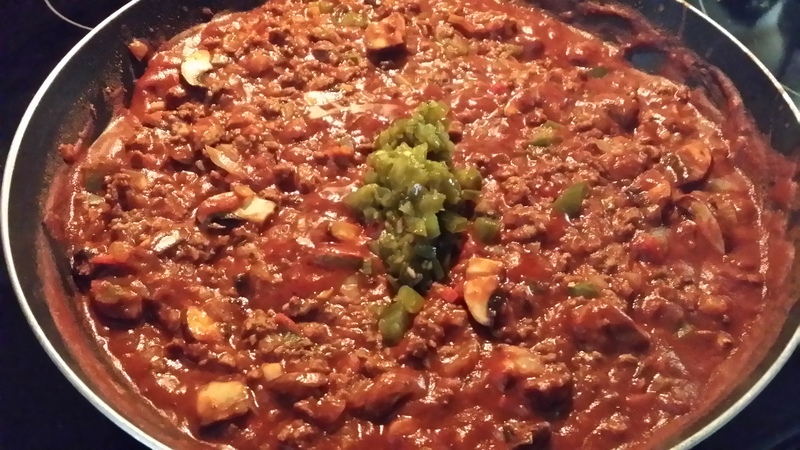 Let Chili Simmer for 30 minutes or up to 1 hr. Checking and stirring occasionally. 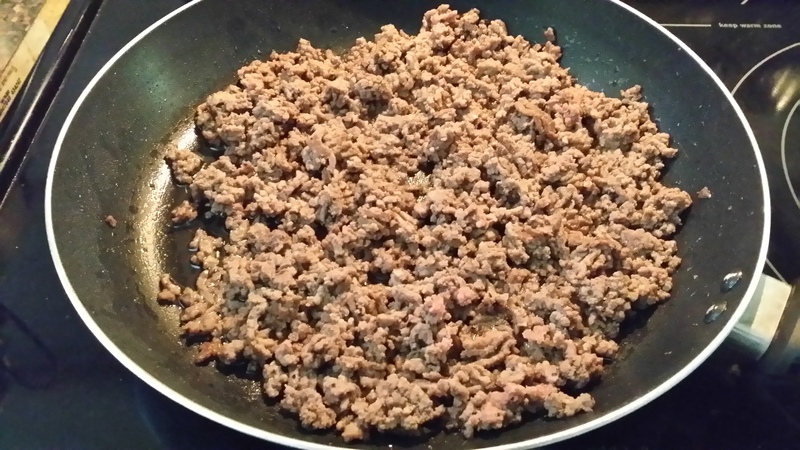 when Chili is done Remove from Burner and let sit for 15 minutes. 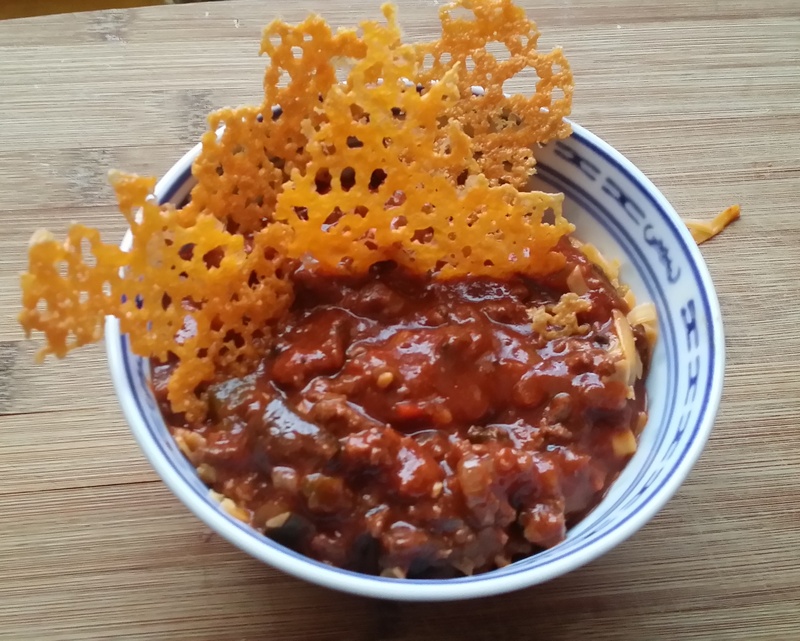 Now I’m one of those Folks that use too add tons of crackers to my Chili. 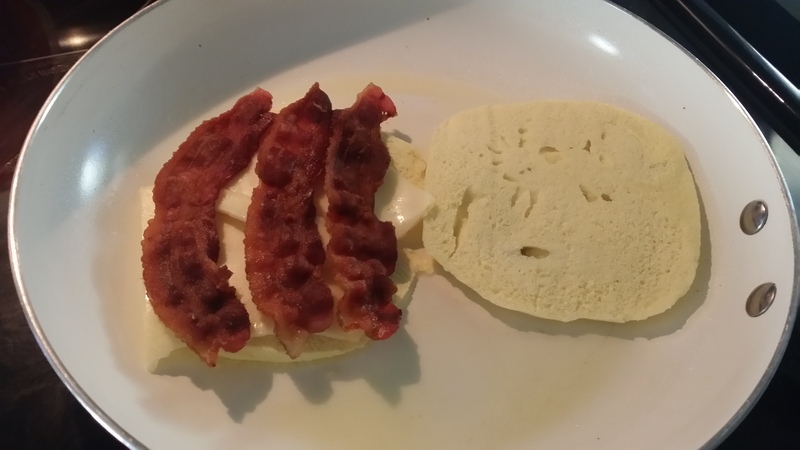 Now as a LCHF Gal. I use my Cheddar Crisp Crackers. 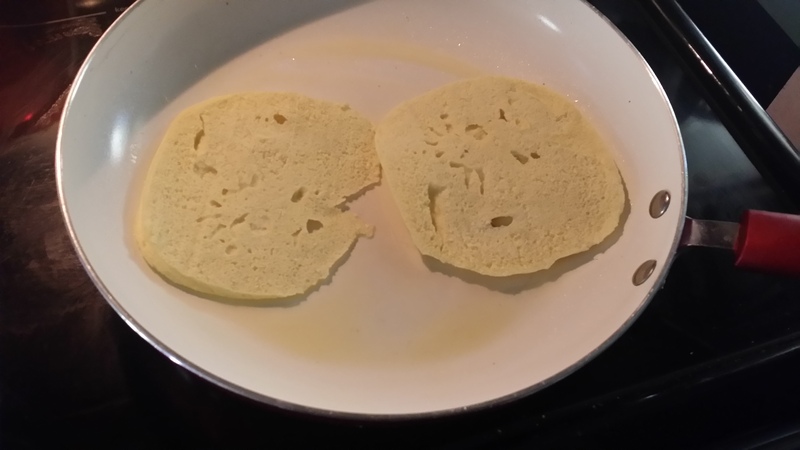 They are easy, just grap your parchment sprinkle cheddar or any flavor cheese you like and bake use Microwave or pan until Crispy. Hope you guys enjoy! Take Care. This has become a new FAVORITE of mine. 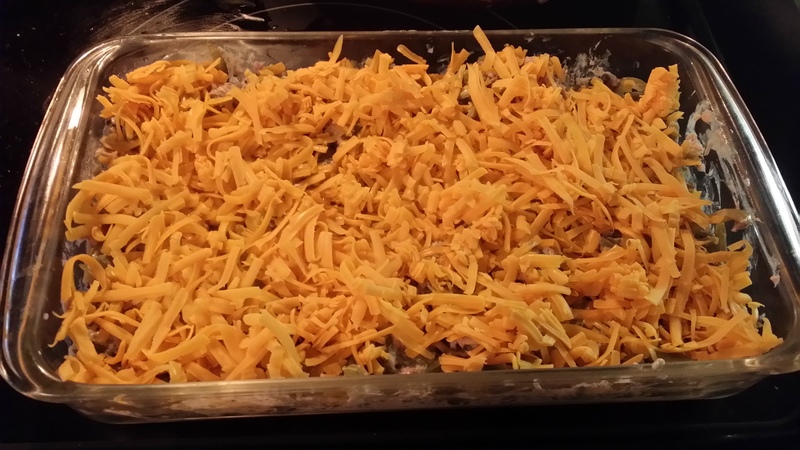 My husband always made me Tuna Casserole, but now on Low Carb those Noodles are a No No. 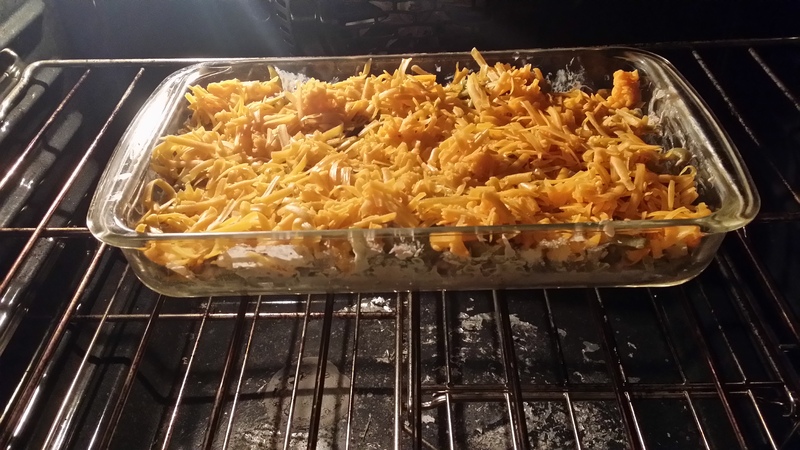 This recipe saved the day and now I make the Tuna Casserole and He loves mine 🙂 Easy Peasy guys you’ll love it! 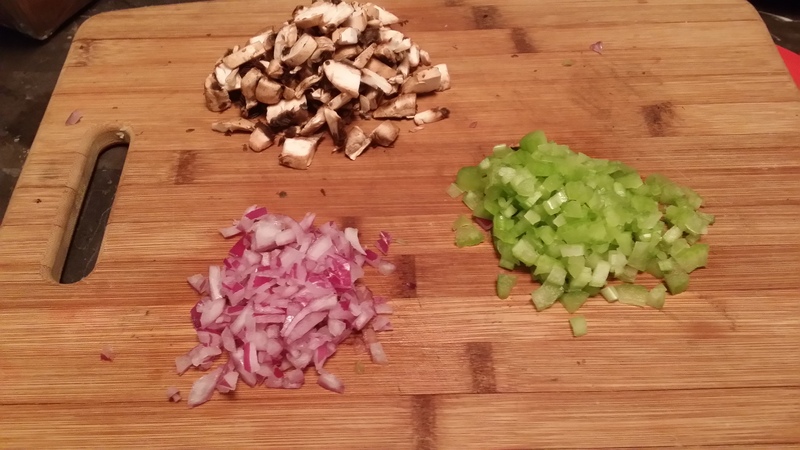 First let’s go ahead and chop our Onion,Celery and Mushrooms and get our Cheese shredded. Next, Grap your Med. 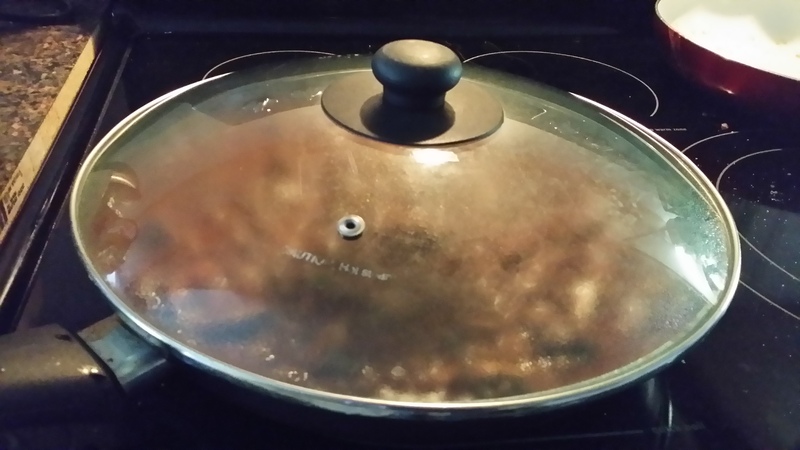 size pan and turn burner to Med. 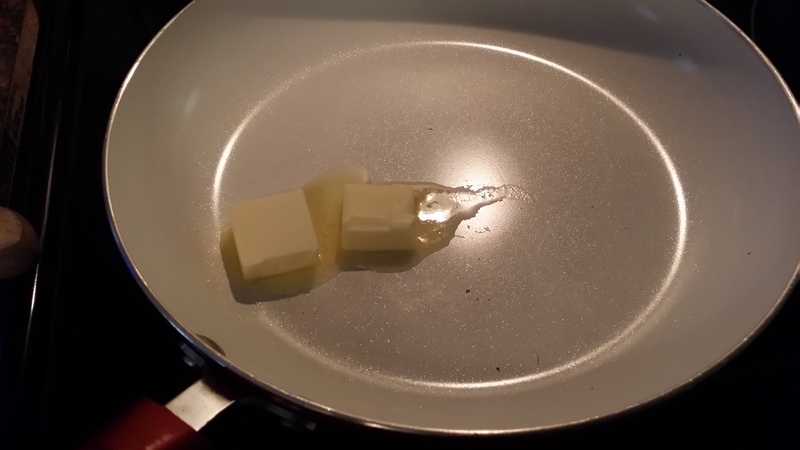 high and melt your Butter. 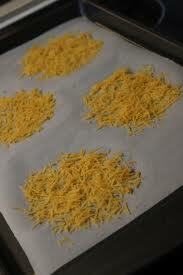 Then add your Chopped ingredients, Not the Cheese just yet, that’s Last. 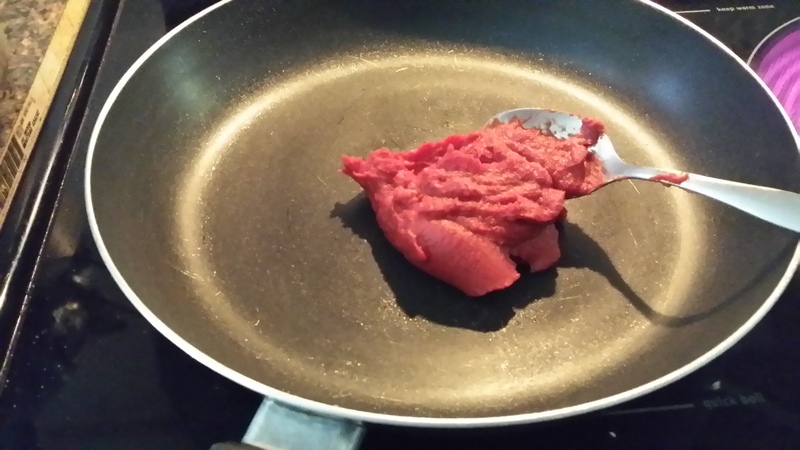 Saute until slightly browning. 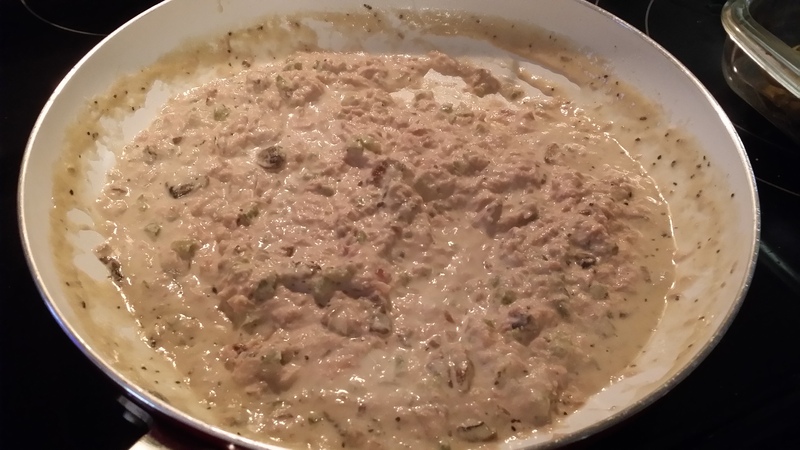 Then add Chicken Broth and Reduce to half. 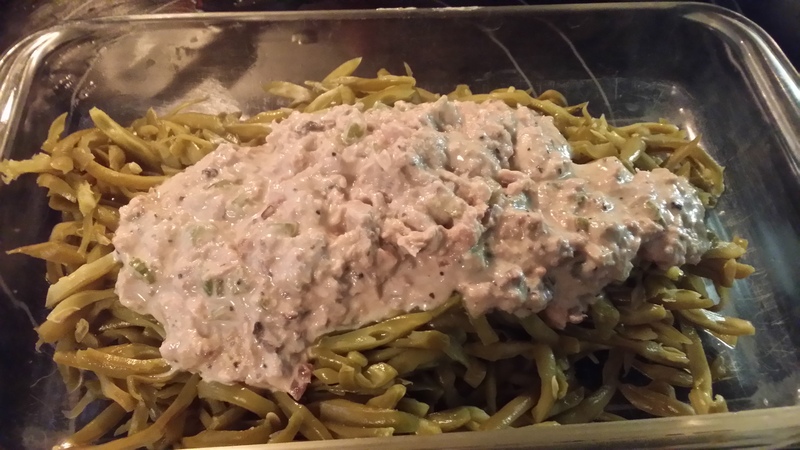 While that reduces, Drain Tuna really well, and Drain Green Beans Really Really well. 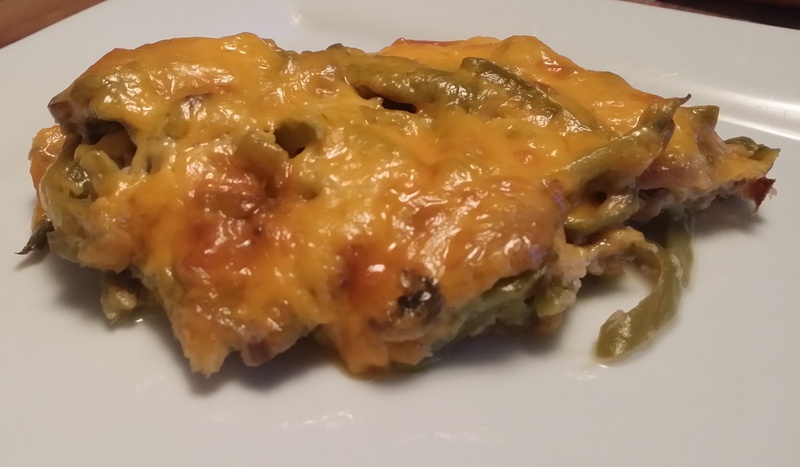 Try t get all moister out of Green Beans, this step is important , because when your casserole starts to cook in oven it can become watery. 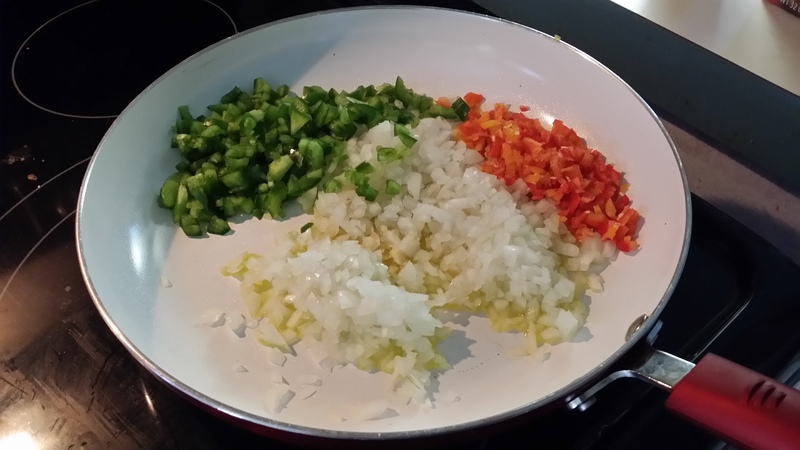 Then Toss green Beans with alittle seasoning Salt and Pepper. 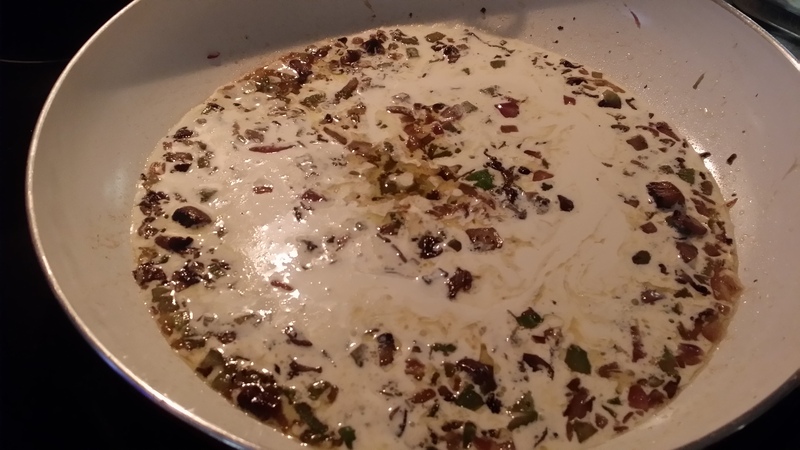 Check on reduced mixer, when reduced add Heavy cream and salt and pepper, bring to a boil and reduce heat and stir until thickened. 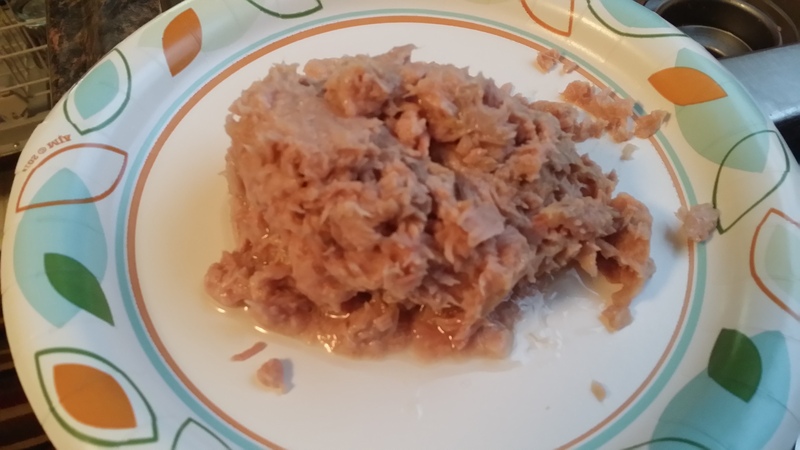 When stove top mixture Thickens add Tuna, Stir well. 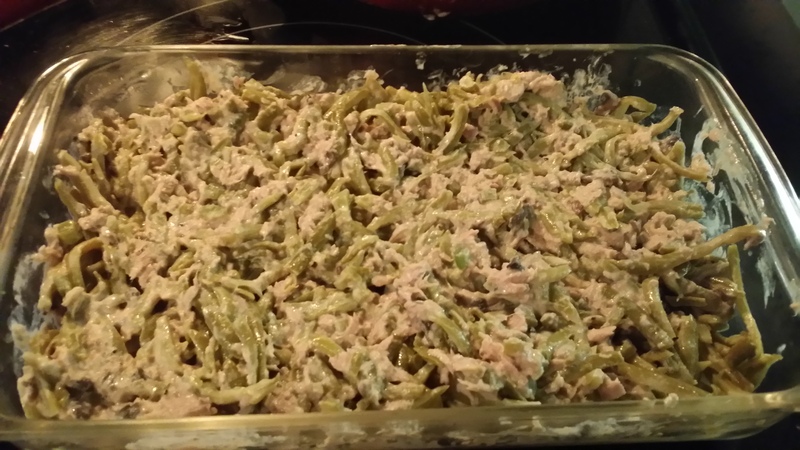 But Green Beans in Casserole, and add Tuna mixture to Green Beans. 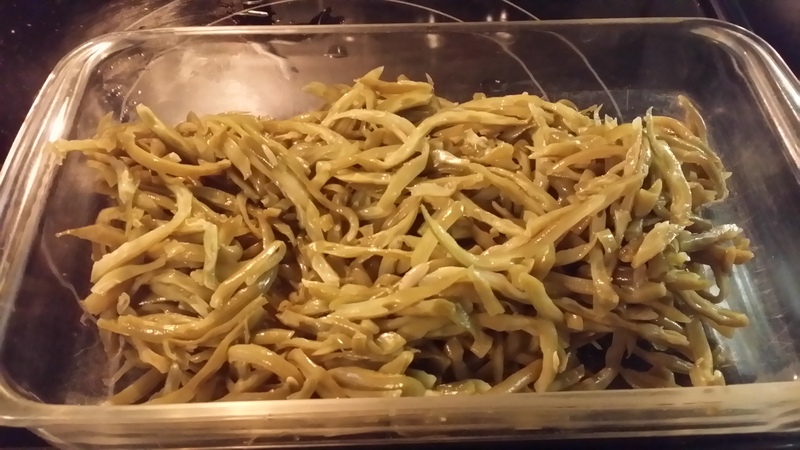 Green Beans take the place of the Noodles,its really good! 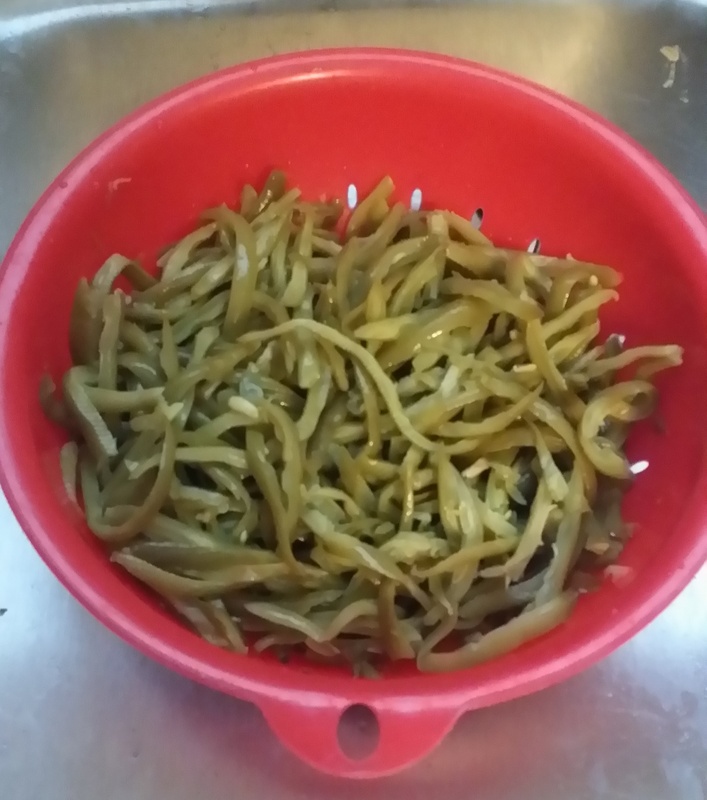 I actually like it better than the noodles 🙂 Incorporate mixture into Green Beans. 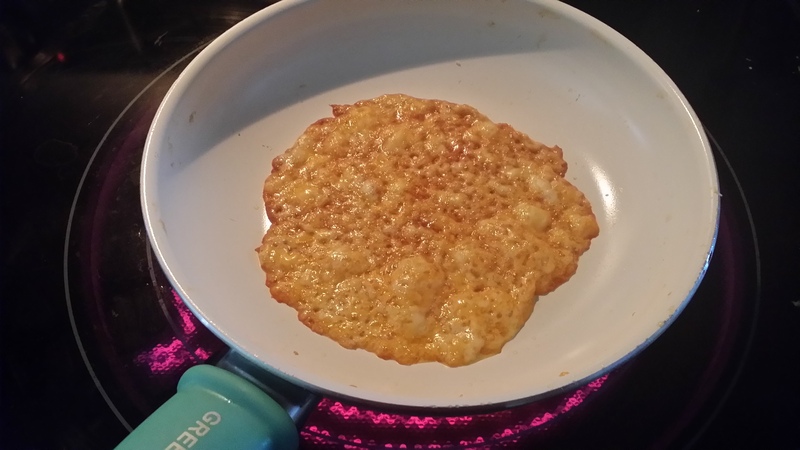 and Then top with Cheese. Cook for about 20 min. 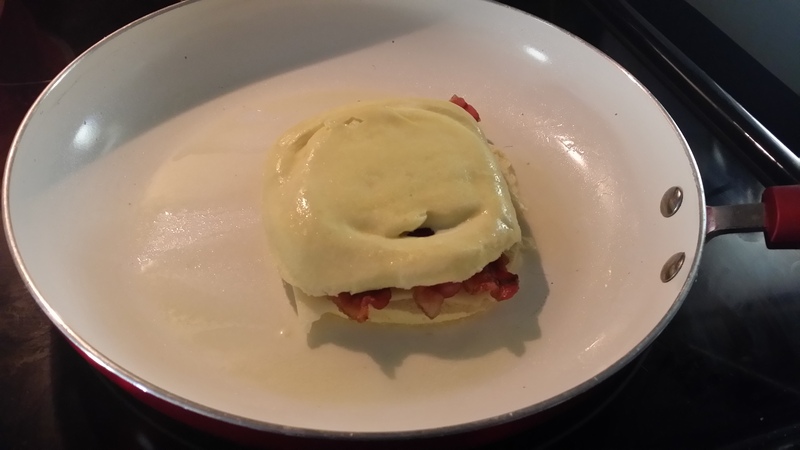 until cheese is nice and bubbly. Let cool for 5 minutes, then dig in and ENJOY!